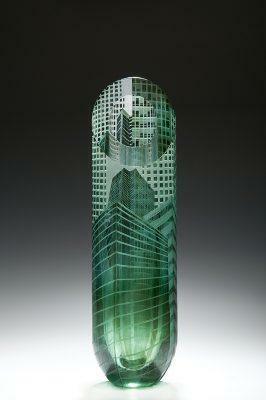 Katharine Coleman is a freelance artist and traditional glass engraver. 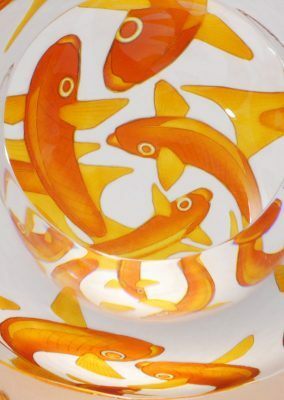 Katharine’s work has been exhibited widely in the UK, Europe, the USA & Japan and it can be seen in many public collections, also illustrated in publications. She believes wheel engravings on glass no longer need to be traditional in style or content, though she prefers to use traditional techniques. 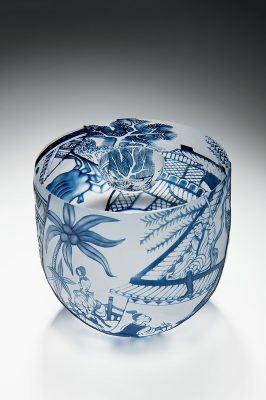 Most of her work consists of one-off pieces, blown to her design before they are cut and engraved. 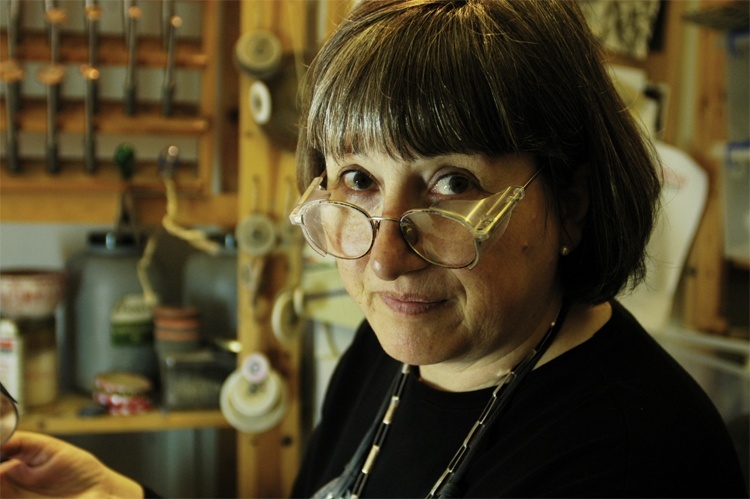 Katharine teaches glass engraving regularly in Germany, Spain, the UK and leads masterclasses at Corning Museum Studio, NY (USA). 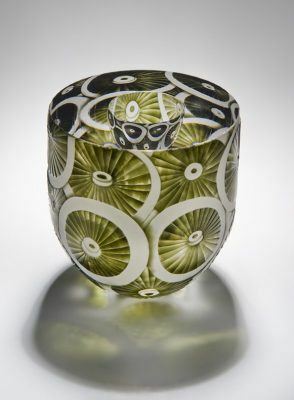 Awarded an MBE for services to glass engraving in 2009, Katharine has won many prizes including the Hon Mention Prize at Coburg Glass Prize 2006 and was a Finalist for the 2003 Jerwood Prize for Glass. 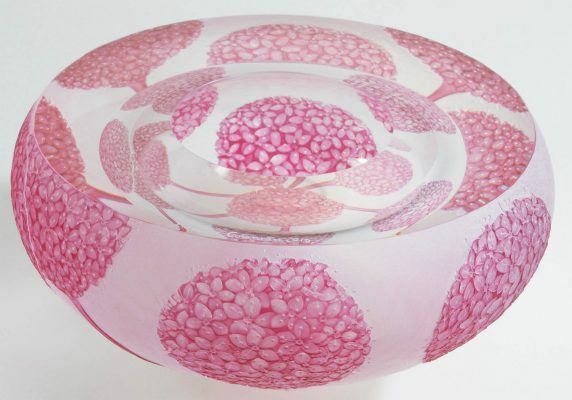 Katharine’s work is in many public collections including the V&A, Corning Museum of Glass (USA), Coburg (D), MUDAC (Lausanne CH), Nat. Museums of Scotland, Nat Museums of N Ireland, Nat Glass Centre Sunderland and the Bavarian State Glass Museum.